Wessling, Germany, in May 2011 – OPEN MIND is investing in the development of a proprietary CAD platform. The CAM specialist has decided to launch its own CAD solution, specifically designed for CAM machining. The software release is planned for early 2013. 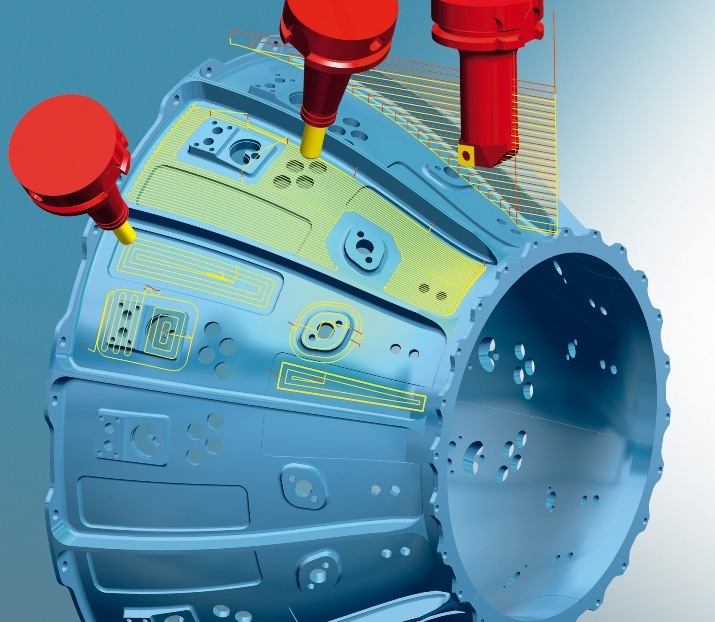 "CAD and CAM are very closely related, as CAM programming is based on digital models. The better this data is prepared in CAD, the better the programs and machining results will be," says Dr Josef Koch, Head of Development at OPEN MIND. The new platform will be fully compatible with OPEN MIND's hyperCAD® software. OPEN MIND's existing integrations SolidWorks® and Autodesk® Inventor® will continue to be supported, and will allow the hyperMILL® customers to choose from a wide range of CAD solutions. In hyperMILL®, OPEN MIND has developed one of the leading CAM systems and is particularly renowned for its 5axis machining strategies. Providing a CNC machine with an optimal description of the model of the workpiece to be machined is a fine art and requires in-depth CAD expertise. This is what OPEN MIND is aiming for with its new CAD platform. "For a long time now, we have been dealing with our customers' requirements in terms of the CAM software, but also in terms of the models used for CAM programming," says Volker Nesenhöner, CEO at OPEN MIND. "We have decided to create a proprietary solution in order to address these requirements and to provide our customers with a powerful, easy-to-use CAD tool for the design stage and focused to support the manufacturing requirements. This is in keeping with our corporate philosophy, which is to develop all our core technologies ourselves."